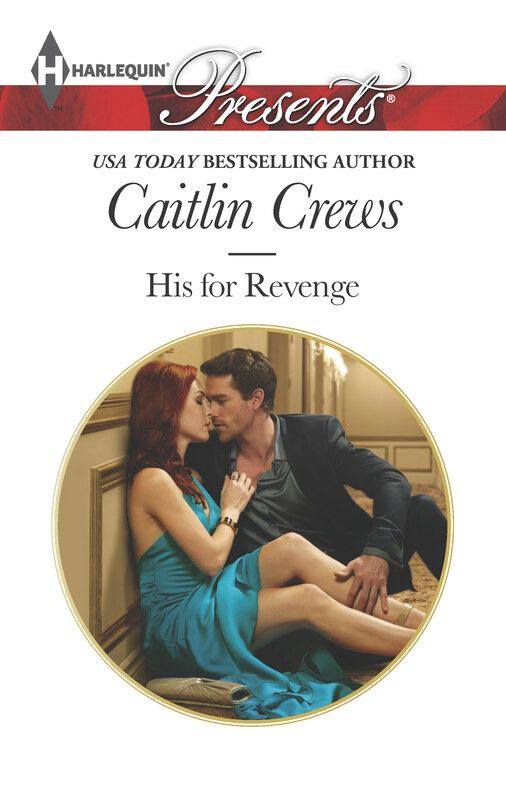 Chase is only interested in one thing—his own dark game of revenge against Zara’s father. The one thing he hadn’t counted on? Zara’s charm and natural beauty unsettling his rock-hard defenses. But their wedding night proves to be a game changer, and they both realize they’re in over their heads. Losing is never an option for Chase… but winning suddenly takes on a very different meaning! Christmas, High Society, Marriage of Convenience, Meddling Relatives?, Revenge, Scandal! 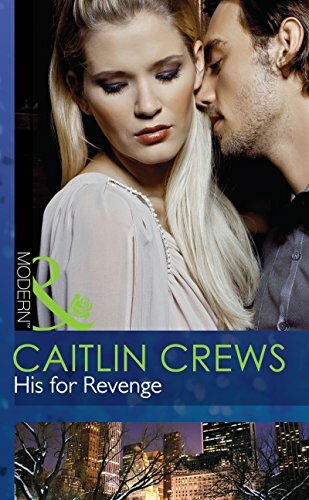 Follow Caitlin's His for Revenge board on Pinterest. Zara Elliott was halfway down the aisle of the white-steepled First Congregational Church she'd always thought was a touch too smug for its own good—taking up a whole block on the town green in the center of the sweetly manicured, white clapboard village that her family had lived in since the days of the first Connecticut Colony way back in the 1630s—before the sheer insanity of what she was doing really hit her. She felt her knees wobble alarmingly beneath her, somewhere underneath all that billowing white fabric that was draped around her and made her look like a lumbering wedding cake, and she almost stopped right there. In front of the hundreds of witnesses her father had decided it was necessary to invite to this circus show. "Don't you dare stop now," her father hissed at her, the genial smile he used in public never dimming in the slightest as his wiry body tensed beside her. "I'll drag you up this aisle if I have to, Zara, but I won't be pleased." This constituted about as much paternal love and support as she could expect from Amos Elliott, who collected money and power the way other fathers collected stamps, and Zara had never been any good at standing up to him anyway. That had always been her sister Ariella's department. Which was how this was happening in the first place, Zara reminded herself as she dutifully kept moving. Then she had to order herself not to think about her older sister, because the dress might be a preposterous monstrosity of filmy white material, but it was also much—much—too tight. Ariella was at least three inches taller than Zara and had the breasts of a preteen boy, all the better to swan about in bikinis and gravity-defying garments as she pleased. And if Zara let herself get furious, as she would if she thought about any of this too hard, she would pop right out of this secondhand dress that didn't fit her at all, right here in the middle of the church her ancestors had helped build centuries ago. It would serve her father right, she thought grimly, but it wouldn't be worth the price she'd have to pay. And anyway, she was doing this for her late grandmother, who had earnestly believed that Zara should give her father another chance and had made Zara promise to her on her deathbed last summer that Zara would—but had left Zara her cottage on Long Island Sound just in case that chance didn't go well. She concentrated on the infamous Chase Whitaker—her groom—instead, as he stood there at the front of the church with his back to her approach. He looked as if he was drawing out the romantic suspense when Zara knew he was much more likely to be concealing his own fury at this wedding he'd made perfectly clear he didn't want. This wedding that her conniving father had pushed him into in the months since Chase's own larger-than-life father had died unexpectedly, leaving Amos a distinct weakness in the power structure of Whitaker Industries that he, as chairman of its board of directors, could exploit. This wedding that Chase would have been opposed to even if Zara had been who she was supposed to be: Ariella, who, in typical Ariella fashion, hadn't bothered to turn up this morning. Zara had always prided herself on her practicality, a vastly underused virtue in the Elliott family, but she had to admit that there was a part of her that took in the sight of her waiting groom's broad, finely carved shoulders and that delicious height he wore so easily and wondered what it would be like if this was real. If she wasn't a last-minute substitute for the beauty of the family, who had once been breathlessly described in Zara's hearing as the jewel in the Elliott crown. If a man like Chase Whitaker—worshipped the world over for his dark blue eyes, that thick dark hair and that devastatingly athletic body of his that made women into red-faced, swooning idiots at the very sight of it, to say nothing of that crisp, delicious British accent he wielded with such charm—really was waiting for her at the end of a church aisle. If, if, if, she scolded herself derisively. You 're an idiot yourself. No one, it went without saying, had ever described Zara as a gemstone of any kind. Though her much-beloved grandmother had called her a brick once or twice before she'd died last summer, in that tone women of Grams's exalted social status had only ever used to refer to the girls they considered handsome enough and evendependable instead of anything like pretty. "You're so dependable," Ariella had said two days ago, the way she always did, with that little smile and that arch tone that Zara had been choosing to overlook for the better part of her twenty-six years. Ariella had been putting on her makeup for one of her prewedding events, an exercise which took her a rather remarkable amount of time in Zara's opinion. Not that she'd shared it. "I don't know how you can bear to do it all the time." "Do I have a choice?" Zara had asked, with only the faintest touch of asperity, because the way Ariella had said dependable was anything but complimentary, unlike the way Grams had said it back when. "Are you planning to step up and be dependable at some point?" Ariella had met Zara's gaze in the mirror, a bright red lipstick in one languid hand. She'd blinked as if amazed by the question. "Why would I?" she'd asked after a moment, as light and breezy and dismissive as ever, though her expression had bordered on scornful. "You're so much better at it." That had obviously been a statement of intent, Zara thought now, as she moved closer by the second to the man at the end of the aisle. Who wasn't waiting for her. Who, given a choice, wouldn't be there at all. Zara was glad she was wearing the irksome, heavy veil that hid her away from view so that none of the assembled onlookers could see how foolish her imagination was, which would no doubt be written all over her face. The curse of a natural redhead, she thought balefully. Hair that she only wished was a mysterious shade of glamorous auburn instead of what it really was. Red. And the ridiculously sensitive skin to go along with it. But then she stopped thinking about her skin and the things that might or might not be splashed across it in all those telling pinks and reds she couldn't control, because they reached the altar at last. Amos boomed out his part of the archaic ceremony, announcing to all that he gave away this woman with perhaps an insulting amount of paternal eagerness. Then she was summarily handed over to Chase Whitaker, who had turned to face her but managed to convey the impression that he was still facing in the other direction. As if he was deeply bored. Or so mentally and emotionally removed from this absurd little exercise that he thought he actually wassomewhere else entirely. And Zara remained veiled, as if she was participating in an actual medieval wedding, because—as her father had reminded her no less than seventy-five times in the church lobby already—Chase needed to be legally bound to the family before this little bait and switch was discovered. "How charming," Zara had said drily. "A fairy tale of a wedding, indeed." Amos had eyed her with that flat, ugly look of his that she went to great lengths to avoid under normal circumstances. Not that waking up to find oneself in the middle of a farcical comedy that involved playing Switch the Arranged Bride with her absentee sister's unknowing and unwilling fiancé constituted anything like normal. "You can save the smart remarks for your new husband, assuming you manage to pull this off," Amos had said coldly. As was his way, especially when talking to the daughter he'd called a waste of Elliott genes when she'd been a particularly ungainly and unattractive thirteen-year-old. "I'm sure he'll be more receptive to them than I am." His expression had suggested he doubted that, and Zara had decided that one smart remark was more than enough. She'd busied herself with practicing her polite, "just married to a complete stranger" smile and pretending she was perfectly fine with the fact Ariella's dress didn't fit her at all. Because what girl didn't dream of waddling up the aisle in a dress that had been cut down the back to allow her breasts to fit in it, then held together with a hastily sewn-up strip of lace she was afraid her stepmother had ripped off the bottom of the church's curtains? Her soon-to-be husband took her hands now, his own large and warm and remarkably strong as they curled around hers. It made her feel oddly light-headed. Zara frowned at the perky boutonniere he wore in his lapel and tried not to think too much about the fact that her father clearly believed that if Chase got wind of the fact that it was Zara he was marrying, he'd run for the hills. The arranged marriage part was no impediment, was the implication. Just the fact that it was to the less lovely, less fawned over, much less desirable Elliott sister. It wasn't until she heard a strange sound that Zara realized she was grinding her teeth. She stopped before her father—glowering at her from the first pew—heard it and did something else to ensure this marriage happened according to his plans. Zara really didn't want to think about what that something else might entail. Switching one daughter for the next should really be at the outer limits of deceitful behavior, but this was Amos Elliott. He had no outer limits. The priest droned on about fidelity and love, which verged on insulting under the circumstances. Zara lifted her frown to Chase Whitaker's famously beautiful profile, so masculine and attractive that it had graced any number of magazine covers in its time, and reminded herself that while this situation might be extreme, it wasn't anything new. Zara had always been the mousy sister, the dutiful sister. The sister who preferred books to parties and her grandmother's company to the carousing of a hundred idiotic peers. The quiet sister whose academic aspirations were always swept aside or outright ignored so that Ariella's various scandals and kaleidoscopic needs could be focused on instead. She'd always been the sister who could be relied upon to do all the unpleasant and responsible and often deadly boring things, so that Ariella could carry on with her "modeling" and her "acting" and whatever else it was she pretended to do that kept her flitting about the globe from one hot spot to the next, answerable to no one and spending their father's money as she pleased. Stop thinking about Ariella, Zara ordered herself sharply, when Chase slanted a dark look her way, and she realized she was squeezing his hands too tightly. She loosened her grip. And she absolutely did not allow herself to think about how warm his hands were, how strong and interestingly callused and yet elegant, holding hers in a manner that suggested his gentleness was only a veneer stretched thinly over a great power he didn't care to broadcast. She definitely wasn't thinking about that. Then it was her turn to speak, in as even a voice as she could manage, expecting Chase to tear off her veil and denounce her in front of the entire church when the priest slipped in her name instead of Ariella's, so quickly and quietly that she wasn't sure anyone even heard it. But he was too busy concentrating on something just to the right of her gaze—and again, she got the sense that he was ruthlessly holding himself in check. That doing so took every ounce of the obvious and considerable strength she could feel in him as he slipped the necessary rings onto her finger. That, or he was as drunk as the faint scent of whiskey suggested he was, and was trying not to topple over. He recited his own vows in a low, curt tone, that accent of his making each word seem that much more precise and beautiful, and when it was done, when Zara had slid his own ring into place, she felt dizzy with relief and something else she couldn't quite name. Was it really that simple? Had she really squeezed herself into an ill-fitting dress she couldn't zip up and a blindingly opaque veil and pretended to be her sister? For the singular purpose of trapping this poor man in one of her father's awful little plots, because this had seemed likethe chance her adored Grams had advised her to give Amos before she wrote him off forever? "You may kiss the bride," the priest intoned. So it appeared that yes, she had. Chase sighed. Then he paused, and for a moment, Zara thought he was going to decline. Could he decline? In front of all these people? In any possible way that wouldn't make her look unwanted and unattractive besides? She didn't know if she wanted him to kiss her or not, if she was honest. She didn't know which would be worse: being kissed by someone who didn't want to kiss her because he felt he had to do it, or not being kissed by him and thereby shamed in front of the entire congregation. But then he dealt with the situation by reaching over and flipping her veil back, exposing her face for the first time. Zara held her breath, cringing slightly as she braced for an explosion of his temper. She could feel it, like the slap of an open fire much too close to her, and instinctively shut her eyes against it. She heard an echoing sort of gasp from the front of the church, where someone had finally noticed that glamorous Ariella Elliott was looking markedly shorter and rounder than usual today. But Chase Whitaker, her unwitting groom and now her husband, said nothing, despite the roar of all that fire. So she braced herself, then opened her eyes and looked at him. And for a moment everything disappeared. Zara had seen a million pictures of this man. She'd seen him from across the relatively small rooms they'd both been in. But she'd never been this close to him. So nothing could possibly have prepared her for the wallop of those eyes of his. Dark blue, yes. But they were the color of twilight, moments before the stars appeared. The color of the sea, far out from a lonely shore. There was nothing safe or summery blue about them. There was a wildness about that color, a deep, aching thing that she felt in her like a restless wind. And he was beautiful. Not merely handsome or attractive the way he appeared in photographs. Not ruggedly lovely in some stark, masculine way, like dangerous mountain peaks were pretty, though he was decidedly, inarguably male. He was simply beautiful. His cheekbones were a marvel. His hair was a rough black silk and his brows were a great, arched wickedness unto themselves. His wide mouth made her feel much too warm, even flat and expressionless as it was now. And those stunning, arresting eyes, the blue of lost things, of shattered dreams, tore through her. It took her a moment to register that he was staring down at her, incredulous. And—as she'd already figured out from that blast of temper that she could still feel butting up against her like a living, breathing thing—he was very, very angry. Zara went to pull away, not in the least bit interested in remaining this close to that much temper, but her new husband forestalled any attempt to escape with the hand he curled around her neck. She imagined it looked tender from a distance. But she was much closer, and she could feel it for what it was. Threat. Menace. From the first page to the brilliantly defining end, Crews’s gothic tale refines the priceless harrowed-to-healed love story. The festive holiday atmosphere heightens the twisted tale. —TOP PICK! 4 1/2 Stars! Want to read Megan/Caitlin’s books by heat level and/or similarity?